DONALD Trump’s surprise win in last year’s US presidential election cost Paddy Power Betfair almost £5million, the bookmaker has revealed. 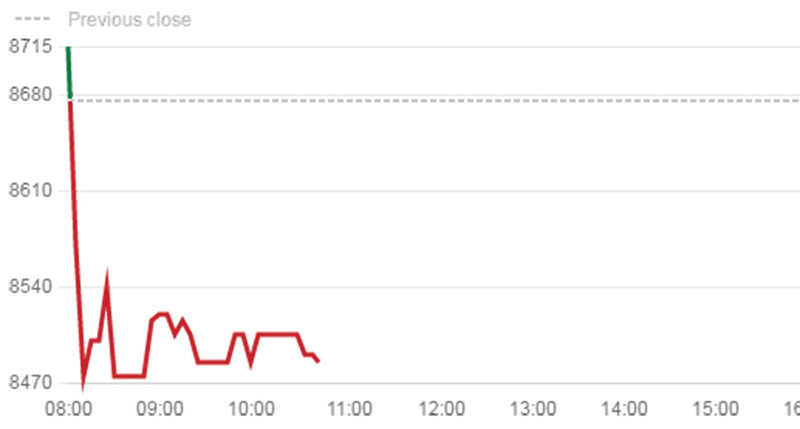 Shares in the company fell two per cent after the company’s announcement on Monday morning. 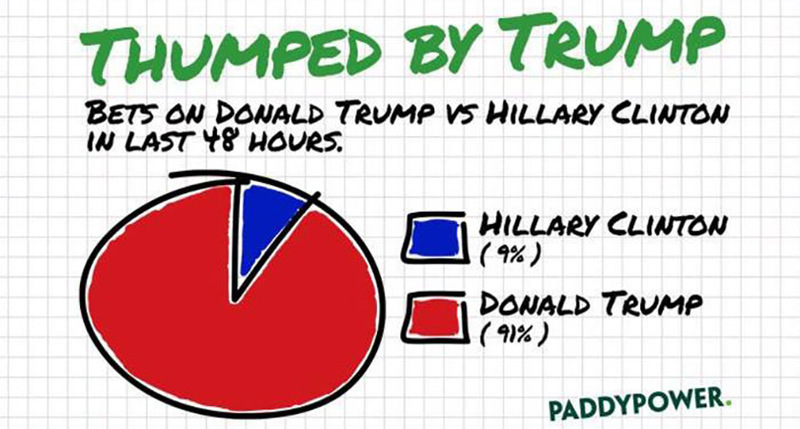 Paddy Power Betfair admitted they had been “Trumped” after the company controversially paid out over €1million on a Hillary Clinton victory back in October, before Donald Trump’s shock win. In the week running up to the election in November, Paddy Power admitted on Twitter that they were sweating after 91 per cent of all new bets were placed on a Donald Trump victory. Now, thanks to the release of Paddy Power Betfair’s 2016 Post Closing Trading Update, the true scale of the cost of the US election result on the company has been revealed. Paddy Power Betfair, which was formed after a merger between Paddy Power and Betfair last year, said that it had seen good growth as a whole – but results “favoured customers”, beginning with Donald Trump’s unexpected win in November. The result cost the group just short of £5million. The firm also took a hit after a number of surprising football results in December, including Chelsea’s string of unexpected victories. Paddy Power Betfair said December’s “customer friendly” results in the last three months of 2016 had cost the group around £40m. However, it said it had continued to see good growth in stakes placed on sports bets despite results “favouring” customers. "This started with the unexpected US election outcome, which cost the group almost £5m, and concluded with our European sportsbooks losing money on football bets in the month of December. "We estimate that the impact on group revenue from the customer-friendly results, before any benefit from the re-cycling of winnings, was approximately £40m in the quarter." Paddy Power Betfair currently operates more than 600 Paddy power shops throughout Britain and Ireland. The firm was formed in 1988 after a merger between three Irish bookmakers; Stewart Kenny, David Power, and John Corcoran. It has become notorious for its controversial advertising and social media presence.